More Chaaru is nothing but a simple version of More Kozhambu.It is a very old and traditional recipe from Thirunelveli which I learnt from my Mil.It comes in handy and it is made in the evenings(nights), when there is no sambar or kozhambu left from the morning menu.Those days we ate rice for dinner. 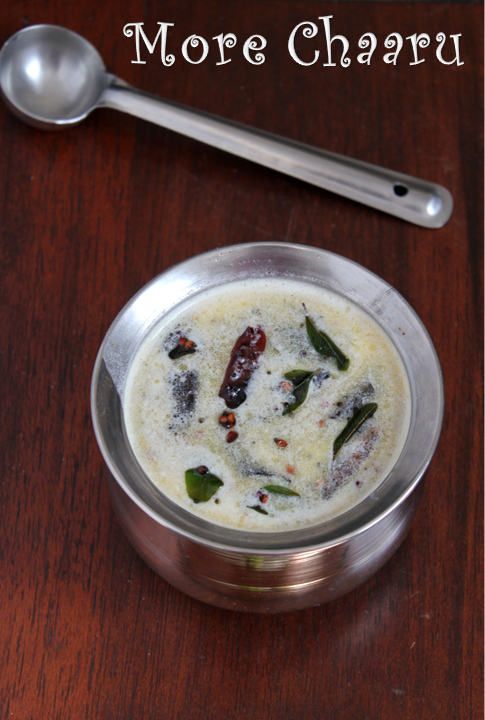 Also, they used to make More chaaru when people had fever, as one was not allowed to take plain buttermilk or curd becuase curd because of its cooling effect.So, you warm up the curd into the more chaaru. 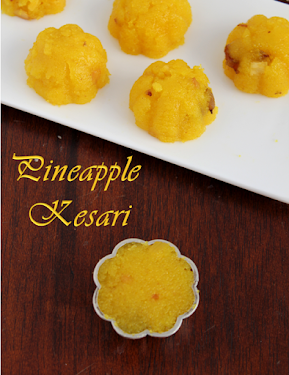 It is my husbands favourite recipe as he is fond of traditional food.It is usually made as an accompaniment for Thogayals especially coconut or Thengai Thogayal.It is really simple and easy to make with very few ingredients. 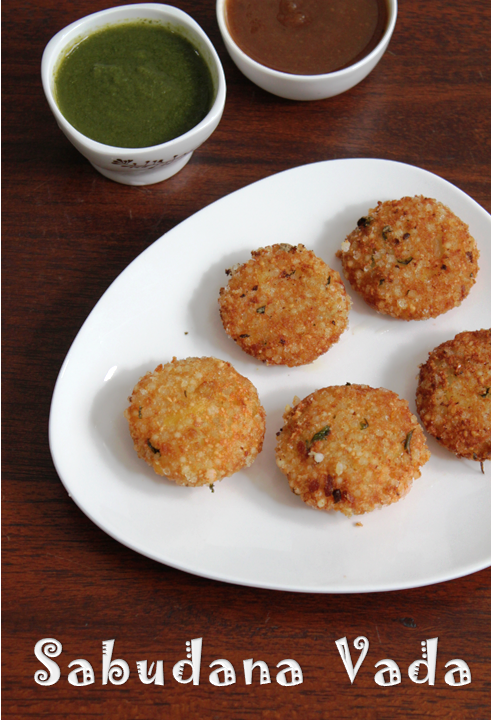 Sabudana Vada is maharashtrian snack usually had during fasting times.It is a no onion and no garlic recipe.usually the sago is washed or soaked and mixed with mixed with mashed potato,green chilli,peanut powder and made in to a patti and deep fried.Depending on the quality of the sago the soaking time is decided.If the sago is small and silky variety it is just soaked for twenty minutes or if the sago is hard and big it is soaked for 5 - 6 hours.It is better you know your sago!!! 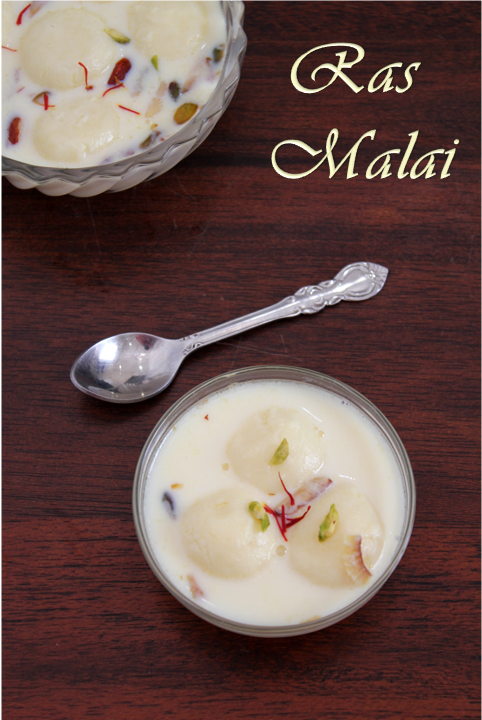 I have two tins of Rasgullas in my pantry now.I thought I will make Few Gullas into Ras Malai. My husband's cousins are coming over for lunch and I am going to make it as their dessert. .It is basically Ras gullas soaked in Rabri.you can check out recipe for rasgullas here.I really like this sweet because it is mildly sweet and not deep fried (not too much ghee or oil content).It is a perfect dessert after a heavy meal. 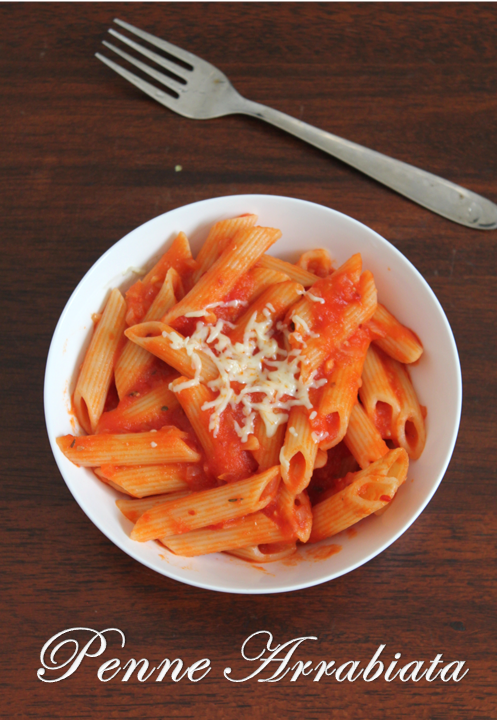 You can indulge in it without any guilt. It tastes best when it is chilled. My kids are not very fond of this sweet, let me see if they will be gulping a few!!!!! 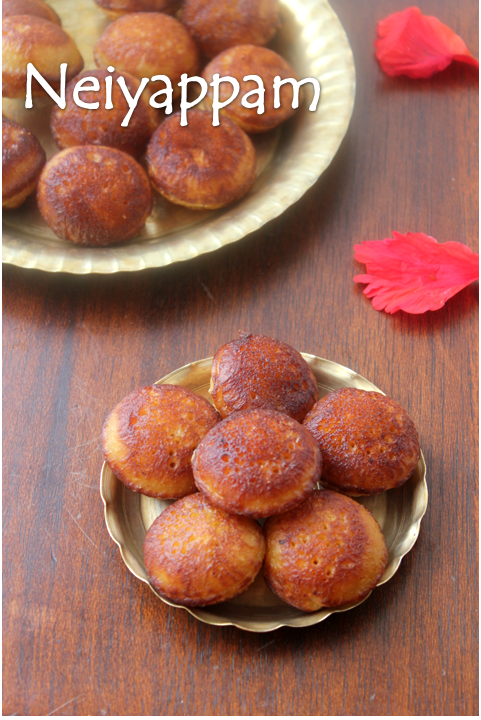 Neiayyam is a sweet dumpling with rice flour jaggery,coconut and cardamom powder(sometimes with mashed banana).It is popular in kerela and palakkad.It is made during Karthigai deepam and pillayar chathurthi.However my mother used to make appam with wheat flour,jaggery and banana.I got familiar with kuzhiappam only through my friends.It is healthier because it is not deep fried. Karthigai Deepam is a festival of lights for the Tamilians. It is celebrated in the month of karthigai.We light lamps (agal vilakku) all over the house, light all the lamps possible in the house, put decorative kolams and place the big kuthuvilakkus on them. 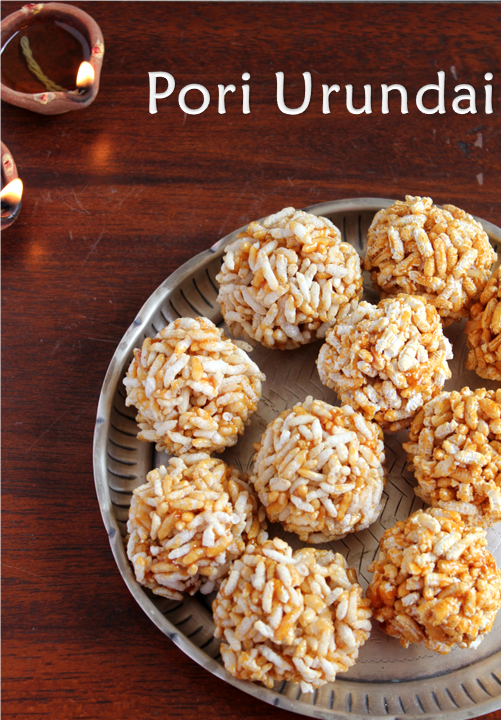 I remember my mother making Pori Urundai in the afternoon.We used to go to the pori kadalai kadai where they used to make these special Nel pori and aval pori for karthigai. Nowadays, it is available in the supermarkets itself.Some of them make only Nel pori and some othem make both.We make both types in our house.Apart from the pori urundais we make appam,vella adai,uppu adai for neivedhyam. 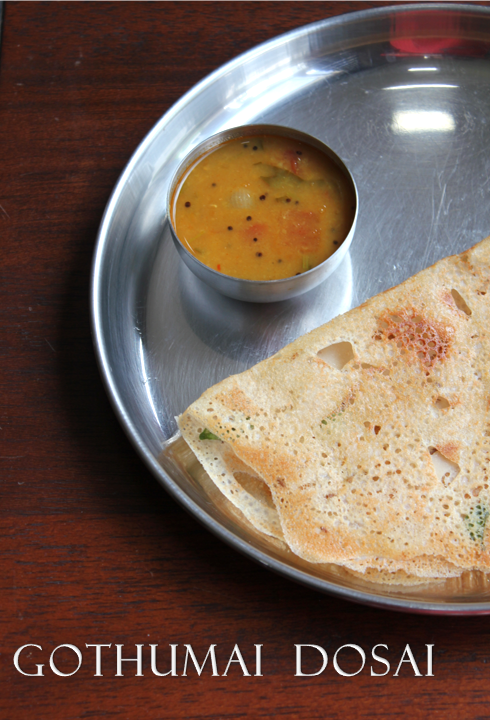 Gothumai dosai is a simple dosa variety with wheat flour and rice flour.South Indians who are bored with eating chapathis or phulkas daily will surely consider this option.It is simple to make witheasily available ingredients at home and health too.